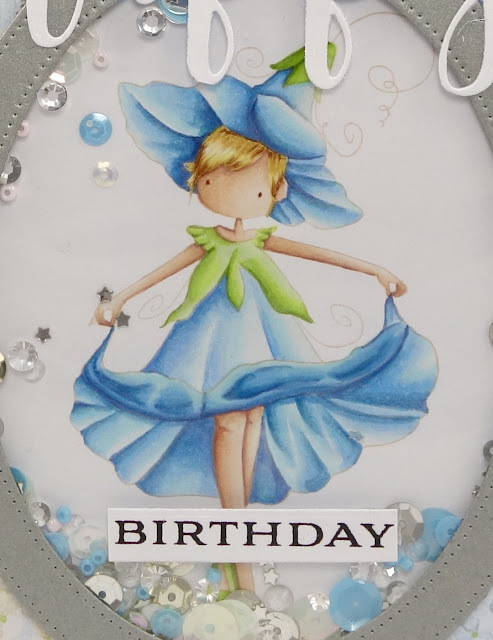 Honey Bootique: Stamping Bella- Tiny Townie Garden Girl Morning Glory! Stamping Bella- Tiny Townie Garden Girl Morning Glory! Today I have a very sweet and delicate card to show you. You know me, I like bold and colourful so this one is a bit different for me but I love how it's turned out. I coloured her using copics and the no-lines technique. 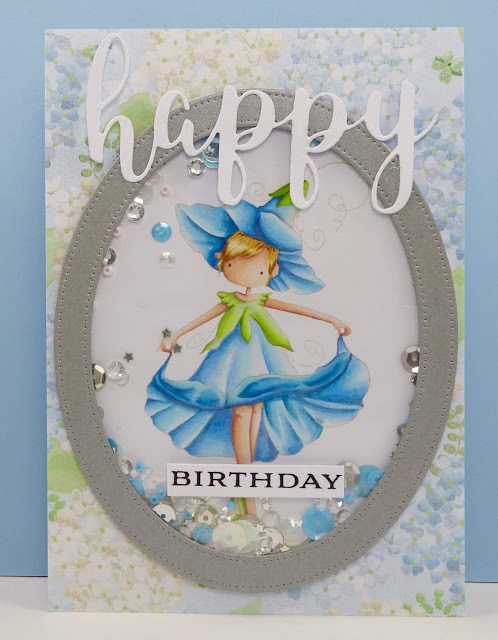 Then I made a shaker card using a large oval frame die which sits on top of some DP. I die cut the large "happy" from Stamping Bella's new die range and added a stamped "birthday" sentiment. Here is your close up. I think she looks impossibly cute!